Using an Outdoor Cat Run: Will My Cat Be Safe Outside? Home / Learning Centre / Will My Cat be Safe in a Cat Run? Will My Cat be Safe in a Cat Run? Your kitty is your world, we understand that. So, when we echo the RSPCA and recommend keeping your cat indoors, we do so with love - your neighbourhood isn’t as safe for our four-legged friends as you might think, and indoor cats live 10 years longer than their outdoor counterparts. Still, fresh air and Aussie weather are hard to pass up, even for ignorant humans. 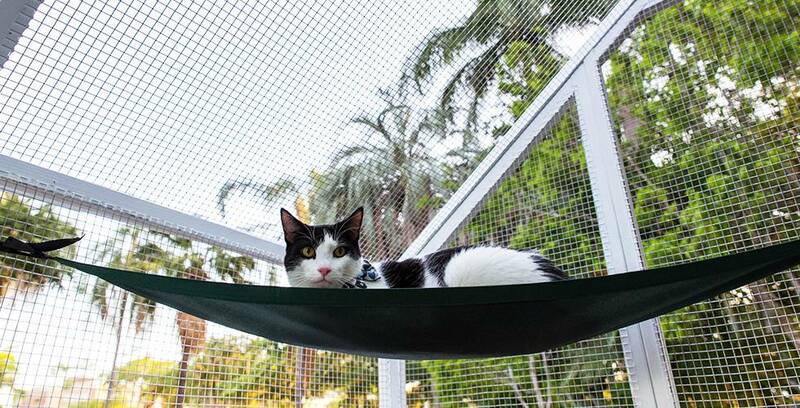 A cat run gives you the best of both worlds by bringing the outside indoors. Here’s how a cat run keeps your little pal safe. On the other hand, a quality cat run is secure, and free of any traffic but the feline variety (and perhaps the odd worm). The feud between cats and dogs is greatly exaggerated - many cats will happily share a home with a friendly, playful pup. However, a wandering feline has little respect for the territory of neighbouring dogs, and may find itself on the wrong end of a bark or bite. 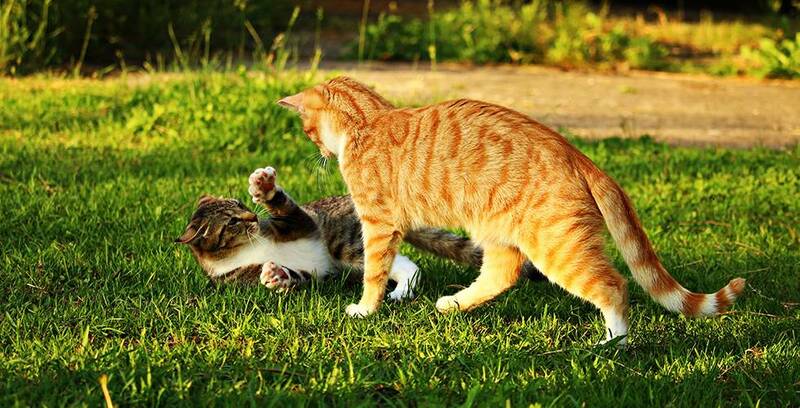 NSW council data shows that 350 cats are attacked by dogs every year, and who knows how many more incidents go unreported. And don’t forget those cantankerous possums. Meanwhile, inside your cat run, hostile animals will vanish into myth, like the Boogeyman. Quit warning me about dogs, human, everybody knows they don’t exist. You might not realise it, but your cat is prime real estate! That’s right, droves of neighbourhood fleas and parasites can’t wait to make the move to the big kitty, and will climb aboard at the first available opportunity. However, of more concern is Feline Immunodeficiency Virus, which is passed from cat-to-cat through scratches and bites. According to Macarthur Veterinary Group, this disease affects between 14 and 29% of all cats, and surely at least a handful in your neighbourhood. FIV inevitably develops into Feline AIDS, which is fatal and incurable. While vaccination can reduce the chance of transmission, the only guaranteed prevention is avoiding catfights in the first place. And what better way to do that than in the tranquillity of a cat run. Inside, your cat will be free to discover inner peace, with any neighbourhood bullies safely on the other side of the mesh. Let’s face it, even the most finicky feline can’t help its own curiosity. You might consider your cat a gourmet, but sometimes those mouldy leftovers are just too tempting to nibble. This is less of a problem when the culprit is a not-so-fresh meatball, and more of a problem when it’s a pellet of rat poison. You just never know what your cat might come across in the neighbour’s yard or home. 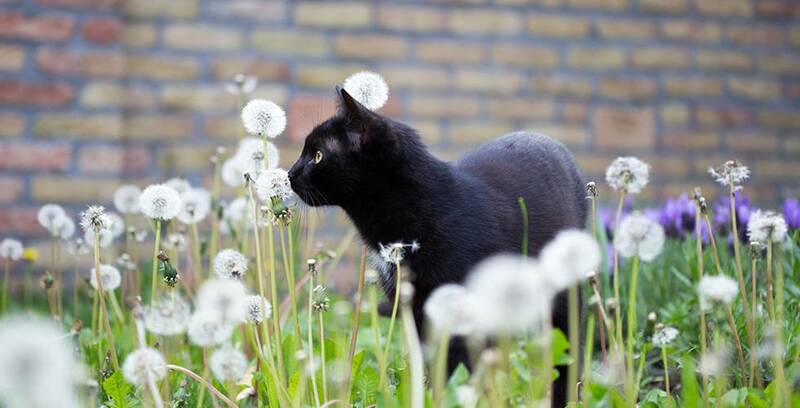 Your cat’s taste for vegetation is another possible problem - cats need to eat plants to help with nutrition and digestion, but many common plants in Australia are toxic to felines. However, in a cat run, the grounds are managed by you, the capable human servant. Make sure to keep any unwanted substances and plants well away from your kitty’s tastebuds, replacing them with tasty cat grass instead. Your cat is a star: you know it, we know it. And as beautiful as your little guy or gal is, it should come as no surprise that other humans might be envious of the incredible cuddles that are yours alone. Some of them will even be tempted to take your wandering kitty for themselves. However, not all thieves have such ‘good’ intentions - the feline fur trade is, unfortunately, not unheard of. To stop other humans from falling into temptation, keep your cat in a secure cat run, where it can climb and play away from prying eyes. Check out our great range of cat runs and accessories to keep your furry friends happy, healthy and safe.